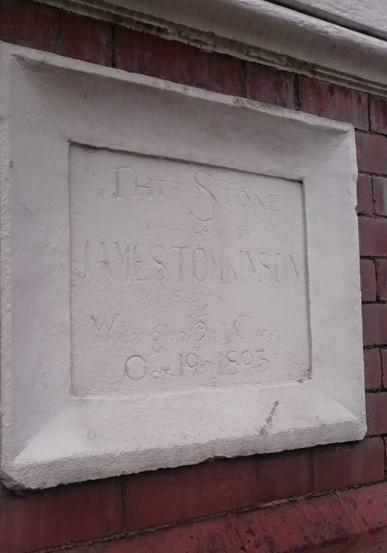 The Rt Hon James Tomkinson MP never lived in Nuneaton, but had a big influence on the town and what happened in it. He and Reginald formed quite a partnership when it came to transforming parts of Nuneaton. James was very lucky to have some very rich and influential family in Cheshire and further field. 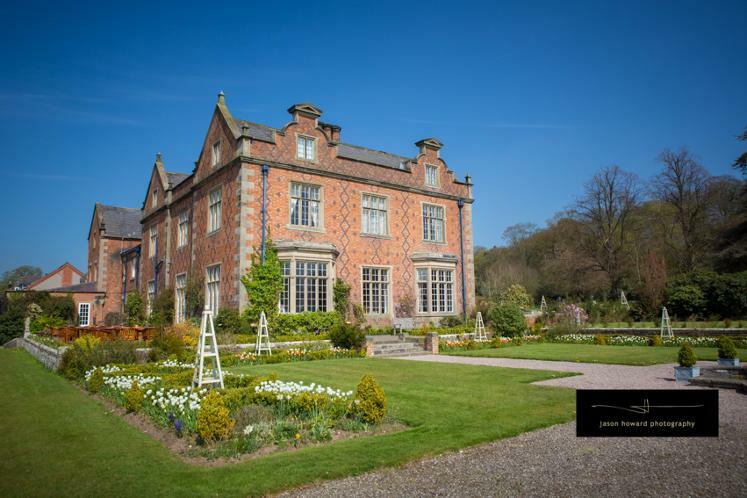 James Tomkinson Senor (1711-1794) was a lawyer and Land Agent, living in the impressive Jacobean style Mansion Dorfold Hall in Nantwich, Cheshire having originally come from Bostock. James's Father William Tomkinson led a fascinating life. He born in Chester 1790 to Henry and Anne Tomkinson of Dorfold Hall. By his Seventeenth year he had joined the British Army and was gazetted to the 16th Light Dragoons in 1807, serving as a Cornet in the Peninsular War and at the Hundred Day War, fighting in 13 battles across nearly 6 years. The remarkable fact is William was seriously wounded in the crossing of the Douro on the 11th May 1809 but recovered and saw out the rest of the war. In 1815 he was involved in the famous Battle of Waterloo, The Dragoon Cavalry had become such a key component of the Duke of Wellington's Army. William wrote about his experiences in his Diary, which thanks to his son a book was published with fascinating details about the battles his Father was involved in. William Tomkinson showing off some of his impressive medals. This man played his part in the Battle of Waterloo in 1815. 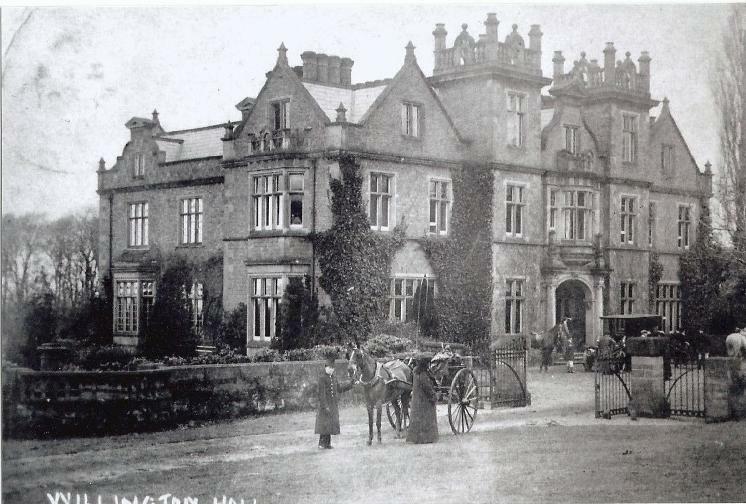 A lovely photo of Willington Hall, designed by George Latham in 1829 and owned by the Tomkinson Family. In 1821 William retired from the Army on half pay, settling into a country gentleman's life. He purchased land from the debt riddled land owner Lord Alvanley and had Willington Hall built as his home in 1829 by Architect George Latham. 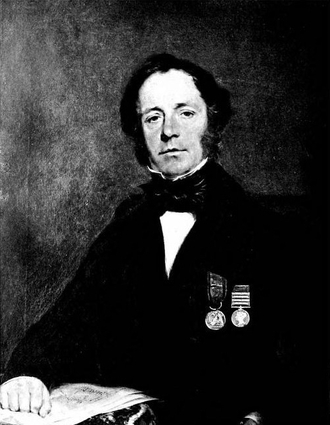 He became a magistrate and landlord to pass the time, marrying Susan Tarleton in 1836, the daughter of Thomas Tarleton. They where a well known family in the Liverpool area as merchant traders and had built up a vast wealth from it. The pair had four sons and two daughters, his eldest son being James. Willington Hall in 2010, thanks to Jason Howard Photography. James was born 8th July 1840, and was sent to boarding school in Rugby as a 10 year old. When his father passed away in 1872, James took over the reigns of the house and all the land the family possessed which included part of land in Nuneaton. Assuming that the Tomkinson's of Cheshire were close acquaintances of the Aston's of Cheshire this could have led to them acquiring land from this important landowner family, going back hundreds of years. I need to find out more on this. His political position was the same as Reginald, he was a true liberal man, he campaigned to become Nuneaton's MP in 1895, but missed out on the position to Mr F.A.Newdigate (Conservative) by a majority of 1387. 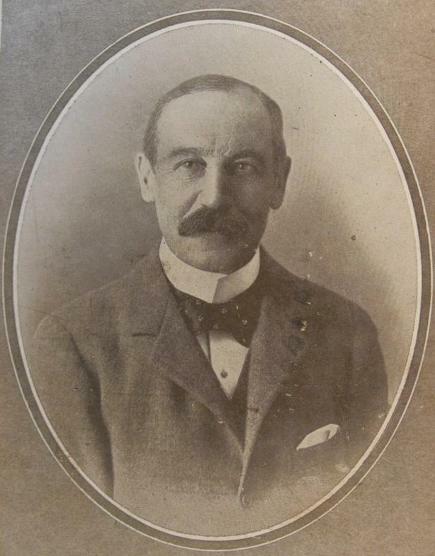 He was later given the honour of being MP for Crewe, serving for a number of years. James was the President of Nuneaton's Liberal club and still made many business trips back to the Midlands to strike up deals with Reginald on various bit of land they had ideas for. 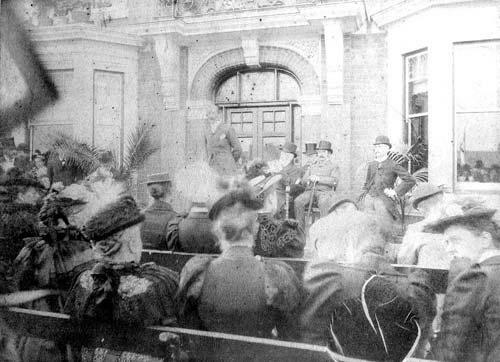 He donated land for the Cottage Hospital in Manor Court Road, and was present at the opening (below). Reginald's home was part of his estate which he sold for the building of Manor Court. He wasn't blessed with much luck when it came to his social activities. He was a keen horse rider, unfortunately I've read comments about his injuries from horse riding, the passage below was taken from the Nuneaton Observer. Mr James Tomkinson, Willington Hall, Chesire and President of the Nuneaton Liberal Club met with a serious accident whist out hunting with the South Cheshire Hounds on Tuesday afternoon. The meet was at Sound, and during the first run, which ended just outside Nantwich, Mr Tomkinson's horse caught its foot in some wire and threw its rider off and twice rolled over him. Mr Tomkinson was conveyed to the residence of Mr A Hornby, and was found to have broken his collar bone. Last Friday Mr Tomkinson had been kicked in the head whilst hunting with the same hounds and it will be remembered some time ago Mrs Tomkinson was unfortunate enough to break her leg whilst cycling. His love of riding was going to cause his untimely death. On the 10th April 1910 aged 69, James took part in the House of Commons Steeplechase. Right is a photo of him at this very event just minutes before the start, and below is the story of what happened as it unfolds thanks to a news clipping in the 'India Times' of all places. 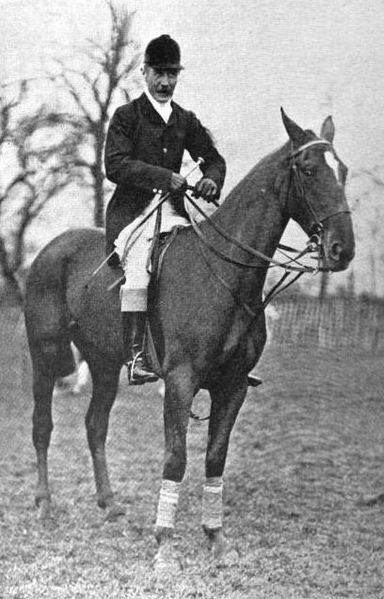 Mr Tomkinson, although in his 70th year, was a regular follower of the hounds, and had taken great interest in the revival, after a few years discountiuance, of the House of Commons race as one of the events of the Bar and Parliamentary Point-to-Point Races which were held at Epping under the auspices of the Pegasus Club. 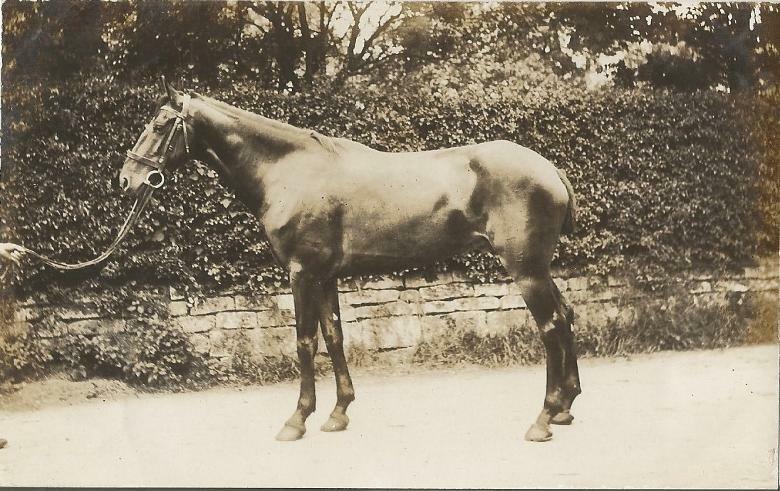 He was one of the 14 starters in the race and was leading on a fine chesnut mare, May Day, which he had bred himself, when, approaching a fence about half a mile from the finish, the mare took off badly and brought her rider down. He fell on his head, and was unconscious when several spectators arrived to render assistance. He was at once taken to a neighbouring farmhouse, and medical assistance was obtained from Epping and London. It was found that the spine had been fractured high up in the neck, and total paralysis followed. Mr Tomkinson's son and daughter, who had been present, remained with him till the end, which occured in the forenoon of the follwoing day. 'At the inquest the principal witness was Sir W.Grantham, who said he was one of the judges of the race, and as the House of Commons race was run in conjunction with the Bar point-to-point races he thought it his duty, on behalf of the Judges and the Bar, to attend the inquest and show their sympathy and regret. He watched the whole race as far as he could, in conjuntion with the Speaker. Mr Tomkinson on starting was cheered by the people for his pluck in riding at his age. He appeared to be very much gratified at his reception, and looked very well. When the accident occurred his horse apparently pecked or breasted the fence. It seemed to the witness just before taking the fence Mr Tomkinson turned from the line he had been taking, and swerved, so that his horse did not go straight over the fence, but partly askew. The horses hind legs got caught, and it fell on landing, throwing Mr Tomkinson forward on to his head. From the appearance of the body he should say that the hunting-cap, which was a dangerous thing to wear, had something to do with the death. He thought Mr Tomkinson fell on the hard brim of the cap, which was driven against his head. Considered the course was a fair one and the fence quite a usual one. One could hardly hunt anywhere without finding such a course as that. The ditch on the taking off side appeared hardly wide enough. It was very narrow and the danger sometimes was that horses did not take enough trouble. A sad end to an important person and not just in his home county of Cheshire but Nuneaton. The land that James Tomkinson gave to Reginald and others made a big difference in the shaping of this area. His name lives on in Nuneaton as Tomkinson Road, along with Charles Street, James and Henry Street named after his three children. A bit of trivia as well, the late Tara Palmer Tomkinson is a relation of James's (Great Grandfather) and her father Charles is a wealthy land owner mainly around the Birstall, Wanlip area of Leicestershire. Thank you James you were a great help to Nuneaton.